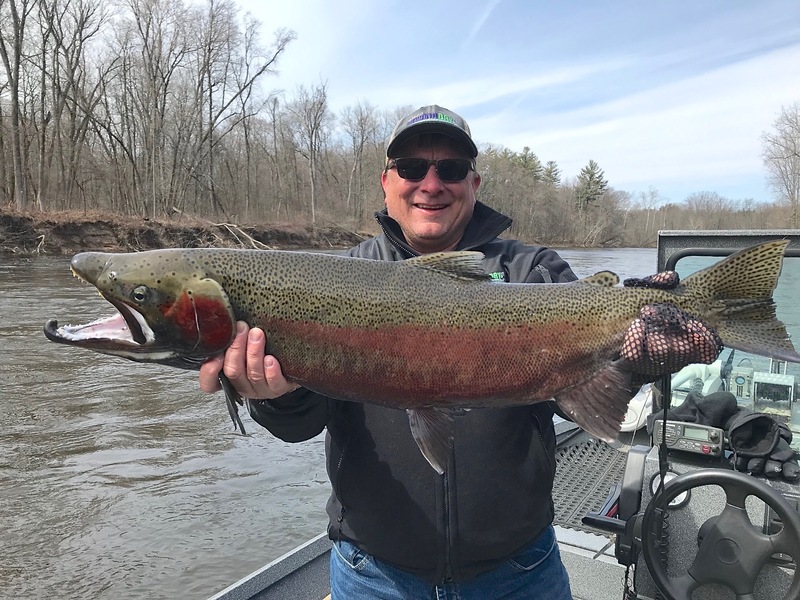 RiverQuest guide Captain Don Graham put his guys on steelhead throughout the day today with multiple hookups and fish brought to net with flies and fly rods. Here, Gary hoists a hefty 14 lb. winter buck that garnered top honors for the day. Congratulations, Gary, for a truly special steelhead! Action picked up big time today over that of yesterday and days prior so all of us guides are encouraged about what may prove to be an excellent spring run of steelhead.